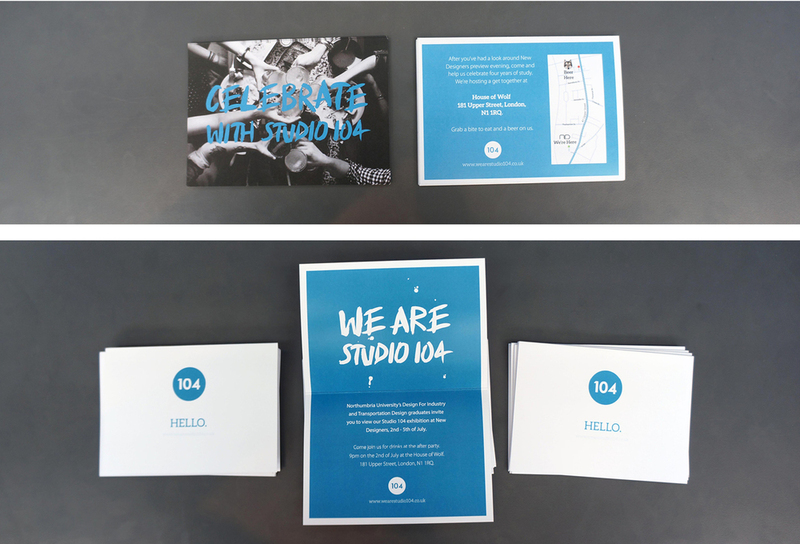 Studio 104 is a student company created in September 2012 by Design For Industry at Northumbria University. From the outset, we aimed to build a brand to promote our work and raise funds to take us to the New Designers graduate show (July 2014). As part of a core team, my role involved overseeing and producing graphical content in conjunction with designing the exhibition space. I was heavily involved in orchestrating the set-up and production of the New Designers show.